Rescued by Faith Easdale of Dream Fetchers Rescue back in January of 2018, Marley (also spelled Marlie) had two broken legs, and was in shock! 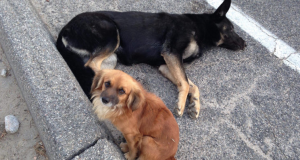 A little dog stayed by her side, and jumped in the car when Faith came to rescue Marley… he was later named Murphy. The two were quite the pair, and Marley had a long long road of surgeries and recovery. But there was something we never knew at the time: Marley was pregnant! 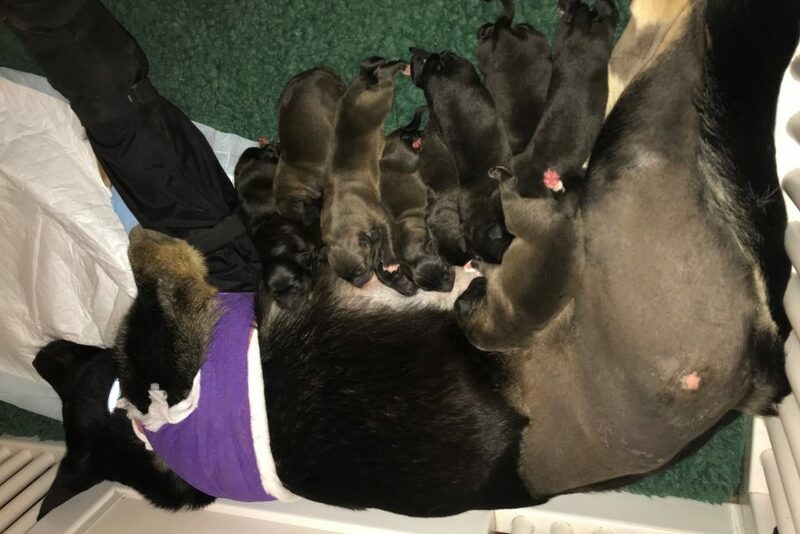 Well today (March 23rd) she had her puppies!!! So, when you donated to Marley (you did RIGHT??) you didn’t just save her life, you saved 10 more lives! YES THAT IS RIGHT, FIVE BOYS, FIVE GIRLS!!! If it was not for Faith Easdale of Dream Fetcher’s Rescue, and if it was not for all of you who donated to Marley’s care, 11 lives would have been lost, not just one! Thank you all! Donate to Dream Fetchers Rescue Here! Maybe you wanna adopt a puppy! It won’t be long, but they need their momma for about 8 more weeks! Get in touch with us on OUR FACEBOOK PAGE or email us here! Thanks for the update on Marley & her babies. Thank the Lord for you angels. Those babies are a treasure to behold.